Though the worst of winter is behind us, many are still rebuilding their lives after the devastation of the 2018 Merrimack Valley gas explosions. Koleinu, Boston’s Jewish Community Chorus, and Temple Emanu-El join forces to present “Light and Restoration: A Benefit Concert” for our neighbors in the Merrimack Valley. The concert will include choral music by Koleinu and will feature Temple Emanu-El’s own Cantor Vera Broekhuysen, Cantor Michael McCloskey of Temple Emeth Chestnut Hill and a sing-along led by Music Out Front, the musical arm of Mothers Out Front. All proceeds will benefit the Greater Lawrence Gas Explosion Fund. The Greater Lawrence Gas Explosion Fund was established when AMEDAL, an association of Lawrence pastors, joined forces with the international humanitarian organization World Vision. The fund is directed toward victims of the disaster who do not qualify for aid from traditional government or private sources. All money raised helps immigrant families and the elderly to meet basic needs—food, shelter and clothing—that were lost in the explosions. Koleinu, Boston’s Jewish Community Chorus, brings the joy of Jewish music and culture to the Greater Boston area and beyond. 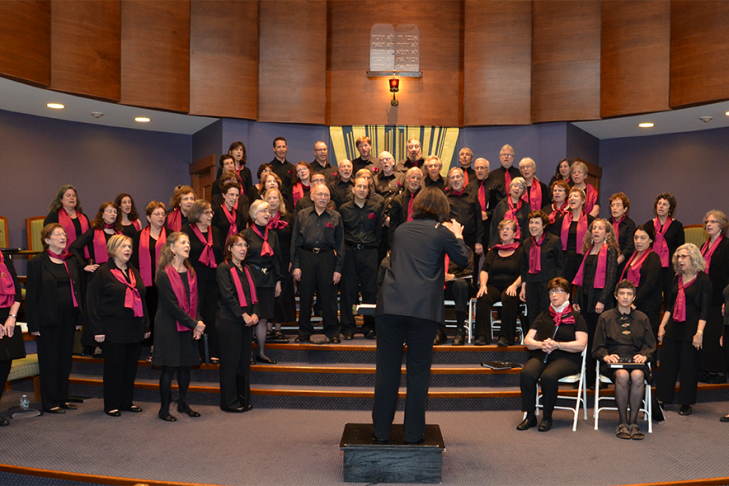 The 70-member chorus performs a wide range of sacred, secular, traditional and contemporary Jewish choral works in concerts and community collaborations and has appeared at the North American Jewish Choral Festival, the Boston Jewish Music Festival and the Greater Boston Community Chorus Festival. Mothers Out Front are mothers, grandmothers and others working to accelerate the transition to renewable energy so that children will not have to face disasters like this one in the Merrimack Valley.